Warning… this is quite a mammoth post – This may require sustenance to complete and if you get to the end then pat yourself on the back! At least there’s lots of photos! To say that I have called Australia for what’s coming up to be half a decade and is now my chosen country of permanent residency I have unfortunately not seen very much of it! That is if you don’t count all the work sites I’ve visited… Which generally aren’t tourist hot spots given that someone is planning to either develop them, something has fallen down, or it’s a coal mine. A spot of winter sun is always a good idea and this year we decided that whilst both of us are working FIFO up north it would be a good time to head over to the coast. Moranbah, where I am currently working, is about a 2 hour drive inland from the coastal town of Mackay. 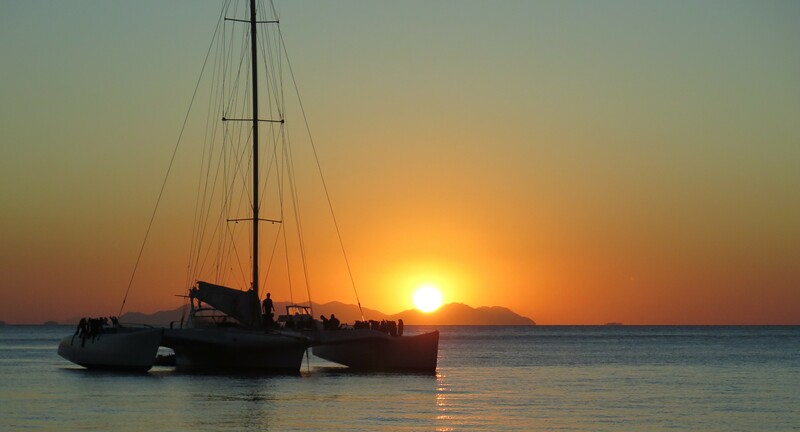 A further hour or so north you have Airlie Beach and the Whitsunday Islands. 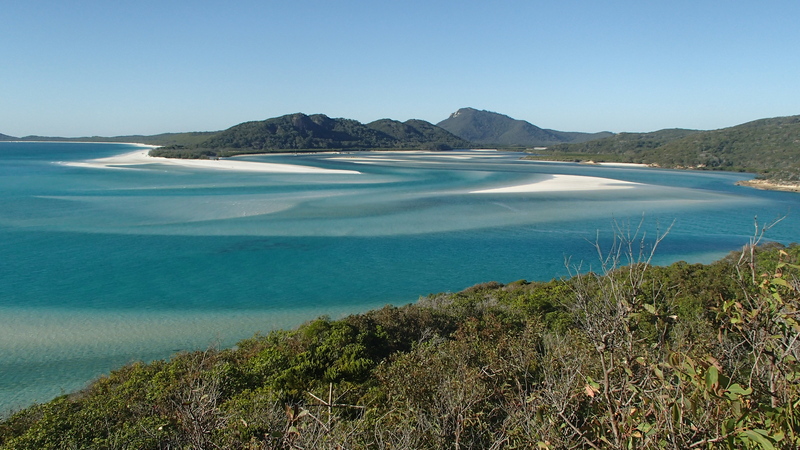 The Whitsunday’s are really beautiful and famous for the beaches. 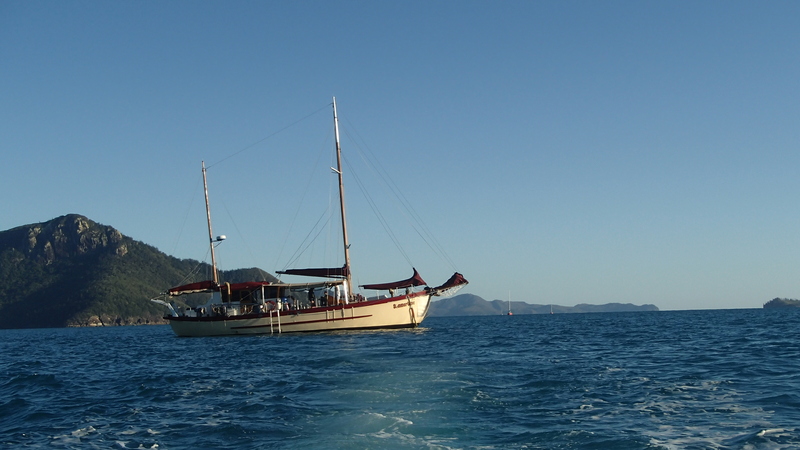 We took a 2 night, 3 day boat trip on the ‘Summertime’, a historical converted cray-fish boat. We had a “double cabin” which might be a bit of a stretch, neither of us are exactly petite so it made for a few fairly snuggly nights. It also happened to be Airlie Race week, so as we left the harbour we were surrounded by hundreds of yachts, which was pretty cool. It was a pretty windy day too, so good for sailing, but a bit chilly! About 30 minutes out we saw our first turtle, just hanging out getting some air and checking out the race! This was super exciting as I’d never seen a turtle in the wild before! We headed over to the first snorkeling location, at the western Hook Island Reef, where we sat and watched 2 whales for a while before jumping in the water. We saw another turtle, I was actually swimming about half a meter away from it, amazing! There were lots of awesome fish and coral, including French fish who always swim in pairs and the most enormous Wrasse. 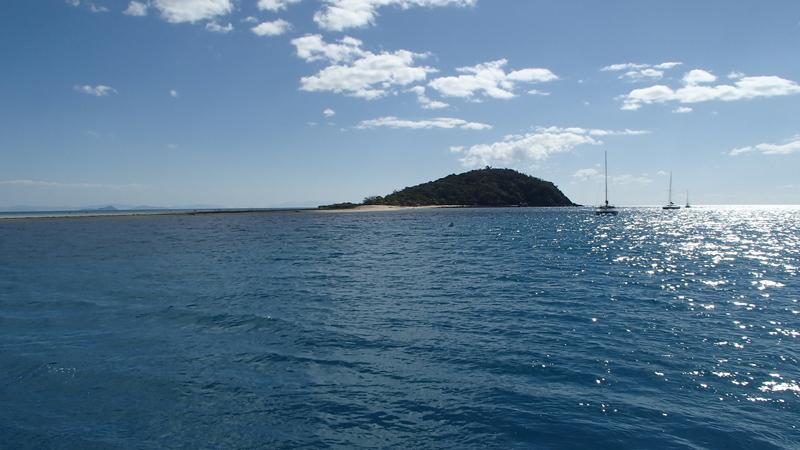 We then sailed over to the strait between Hook Island and Whitsunday Island for the night, watching another whale with her calf along the coast. 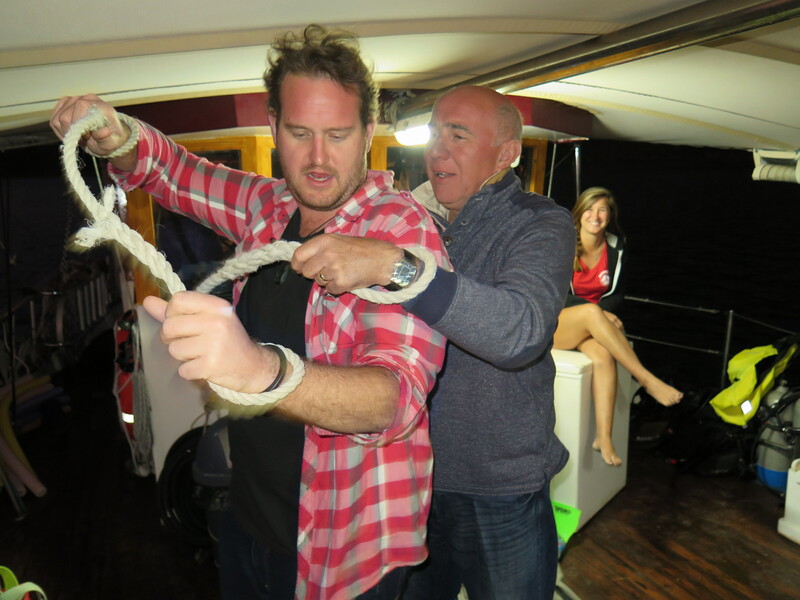 The next day we set sail early and the motion of the boat woke me up. Feeling nauseous I ventured upstairs to watch the beautiful sunrise. 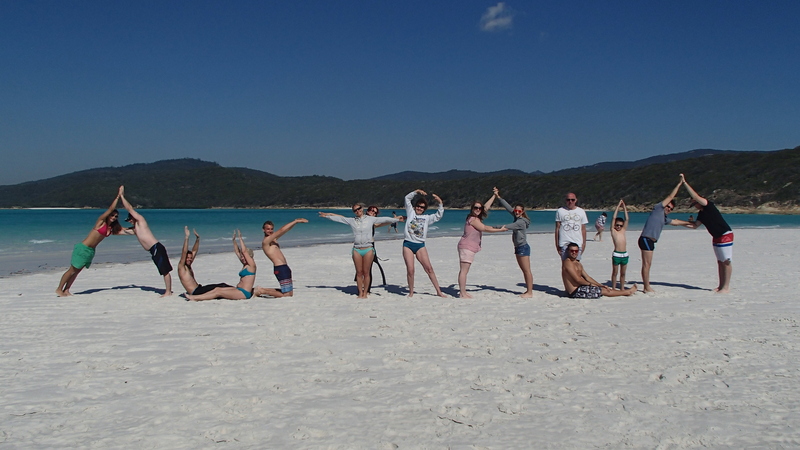 The morning of Day 2 was spent over at Whitehaven Beach, which is simply stunning. We were the second group there, so it was really quiet and empty. It’s a really beautiful place. We wandered around, looking for wildlife, watching the plovers and taking pictures. The afternoon was spent with more snorkelling & diving out at the spot where the famous Lara Bingle advert was shot – Langford-Bird Reef. 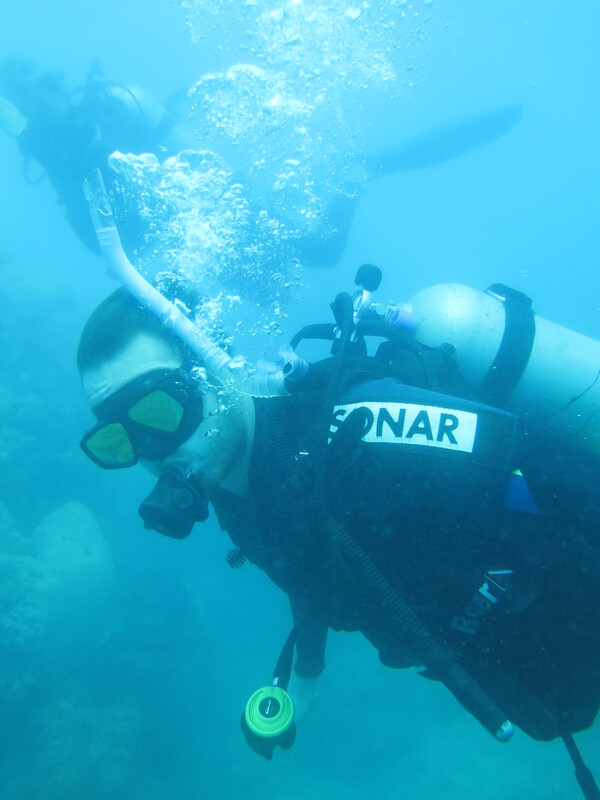 This reef had a better range of fish, including really funky long pointy ones that swam around me in little shoals. I wasn’t lucky enough to spot another turtle though. Did you know star fish are now officially called Sea Stars? 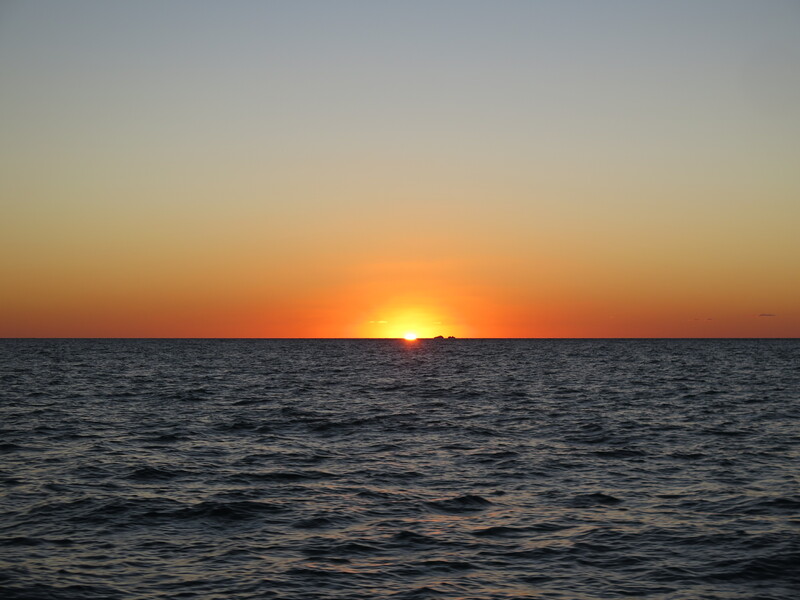 After another great BBQ dinner we watched an amazing sunset, we also saw a dolphin and a shark hanging around the boat… They obviously smelt our tasty dinner! The stars out there were beautiful; you get a real sense of the depth and distance. It’s also great seeing the Milky Way. I still can’t get used to the Southern Hemisphere stars though. Day 3 started out with a spot of kayaking over to the eastern Hook Reef Beach, where we were surrounded by pretty blue butterflies and the rock formations looked like rolling barrel waves. That night we all caught up for dinner in town and watched the Rugby. 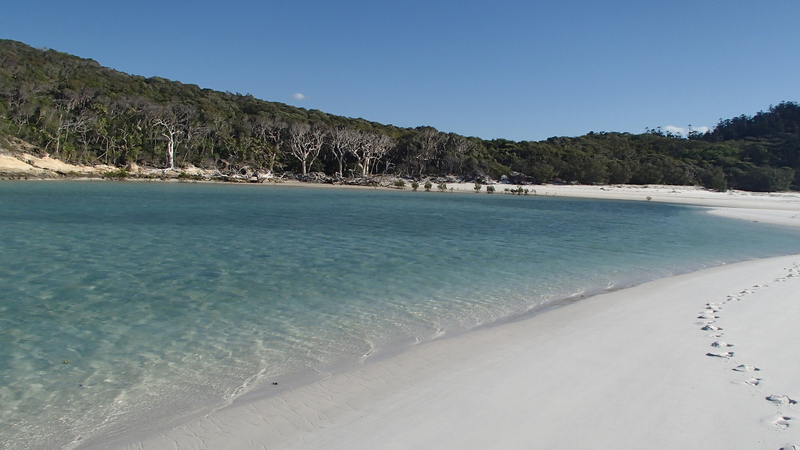 The next day was fairly quiet; we slept in and then went exploring over at Midge Point, where we had the beach entirely to ourselves. The evening was topped off with an amazing Italian dinner, the best Cannoli I’ve had in a ong time and a Tiramisu Martini. 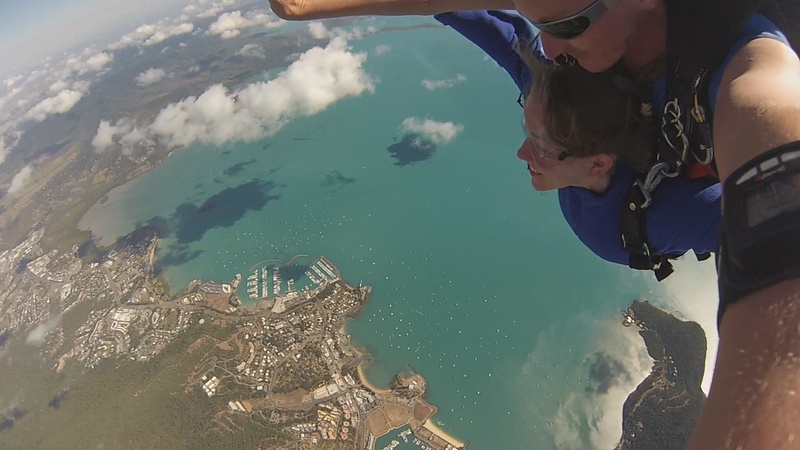 Whilst in Airlie I also managed to tick off item No.10, by going Skydiving over the islands – after all I’m unlikely to find such a beautiful spot to do it in Australia again between now and December. 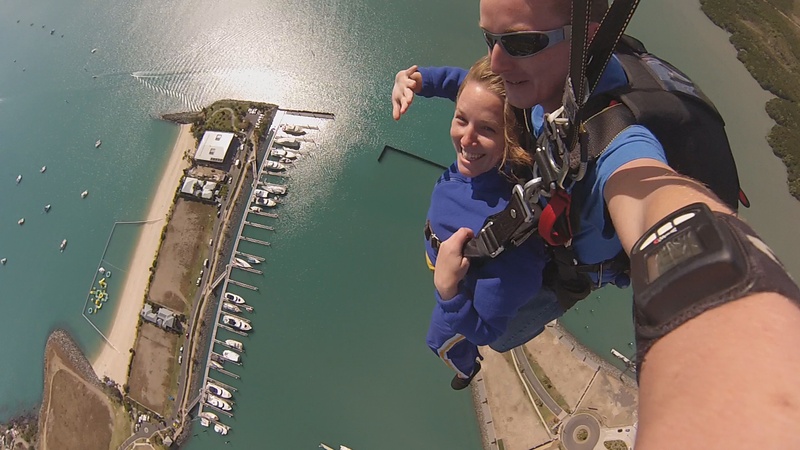 I had originally hoped to do my skydive over Queenstown back in March; however, it can mess with your ears and given that I have moody ears at the best of times I didn’t want to end up deaf for the wedding we had gone for. 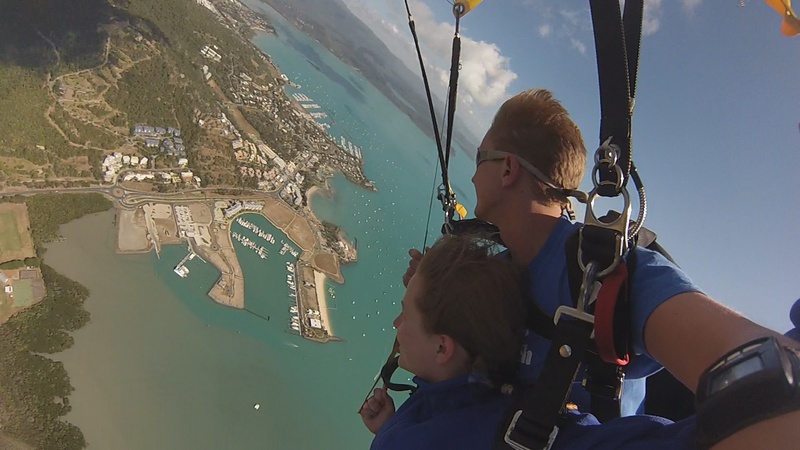 I jumped at Skydive Airlie Beach, located just outside of town. 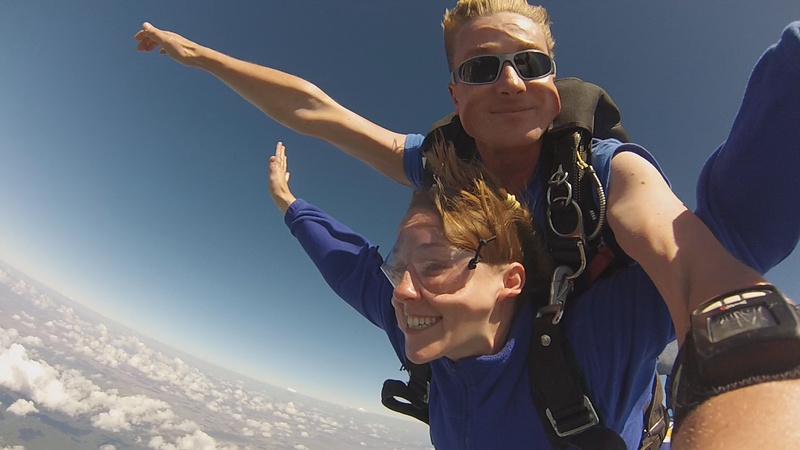 I opted for the 14,000 feet jump so I got the full minute worth of free-fall. My instructor was called Toby and was so relaxed he really put me at ease. They get you all suited up, run through the safety briefing and you go and jump in the plane. 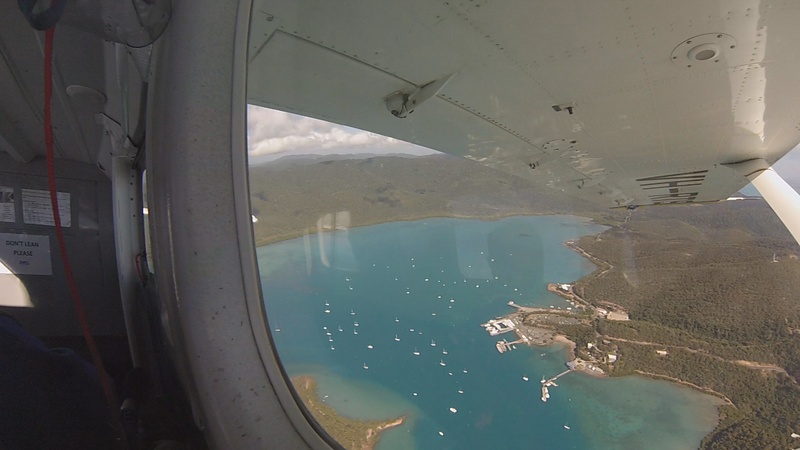 The view on the way up, circling over Airlie Beach and over the coast is beautiful, looking out across to the islands on the one side and the rain-forest on the other. Out of the 3 of us in the plane I was the first to jump. Once the door was opened we lent out to check we were in the right spot, and then it was time to swing out of the door – the only moment when pure, blind panic set in! 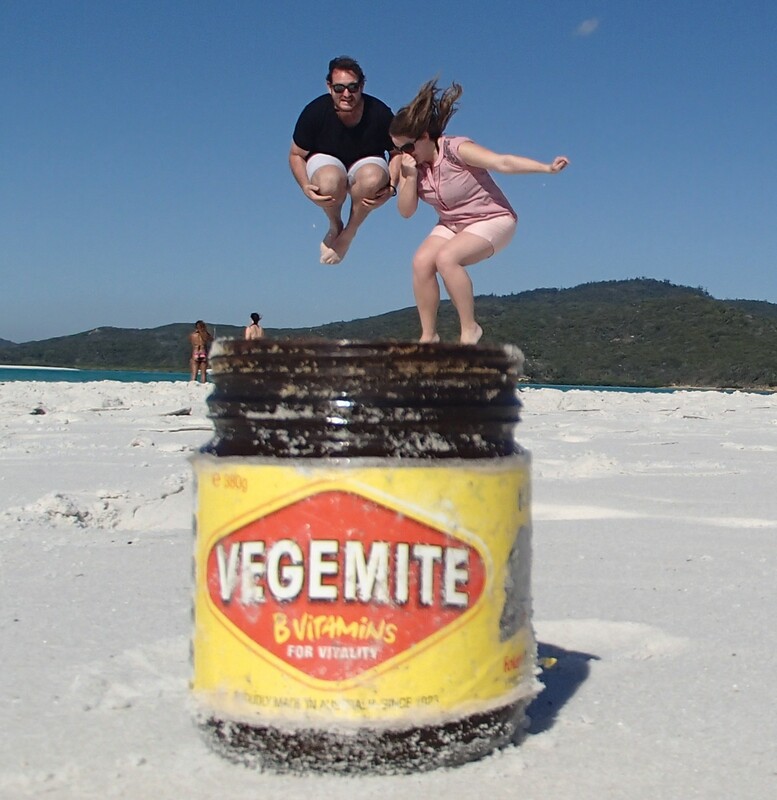 A few seconds later I was flying through the air! It’s quite an incredible feeling, you spin around quite fast when you first come out of the airplane, but quickly settle into position. So you’ll have to make do with my grinning like an idiot in them all! Once the parachute opens it becomes very gentle and calm, until you turn! It’s pretty awesome having a go at steering and I got to swing around a few steep turns on the way down to the landing pad. 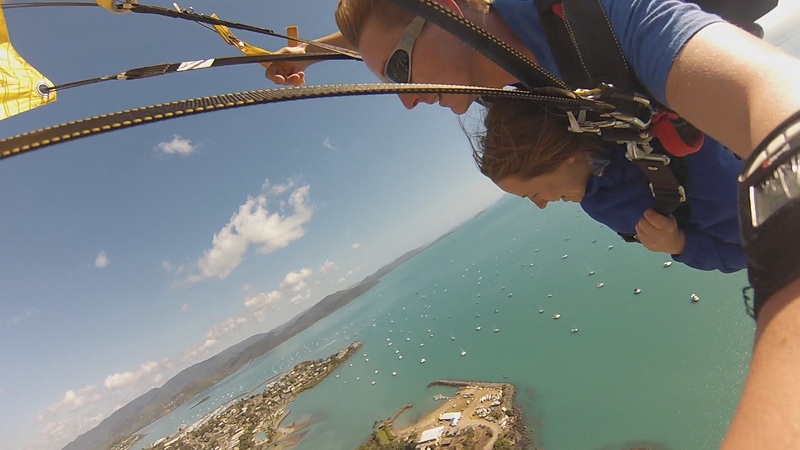 I landed down by the beach in Airlie, so had great views the full way down. The landing was the bit I was most nervous about, but it was a just a gentle bump. Mark had also come over in the support crew bus to meet me at the bottom. 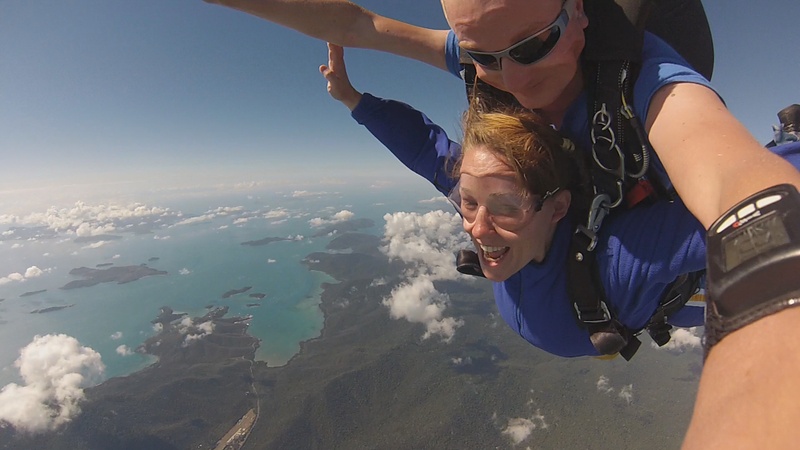 This entry was posted in 30@30, Uncategorized and tagged 30@30, 30at30, airlie, hottub, sail, skydive, summertime, turtle, whale, whitsundays. Bookmark the permalink.